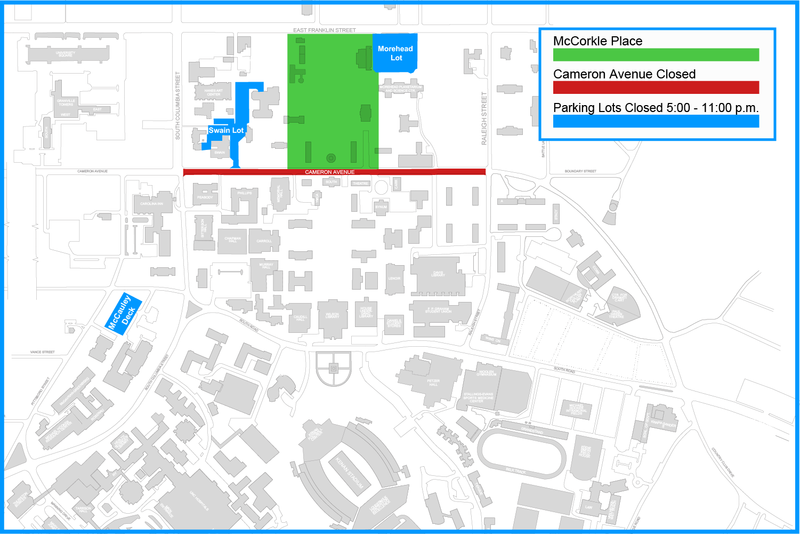 Due to planned activity in McCorkle Place today, Monday, Dec. 3, East Cameron Avenue will be closed to through traffic between Columbia Street and Raleigh Street beginning at 7 p.m. The gates at Morehead, Swain and McCauley lots will remain closed from 5:00 p.m. to 11:00 p.m.. Only authorized vehicles will be allowed to enter these lots, but all vehicles parked in the lot will be able to exit. Chapel Hill Transit will detour the RU route from Cameron Ave beginning at 6:30 p.m.
Robertson Scholars Bus will detour to Raleigh St. beginning at 5:00 p.m.
P2P Express will detour to South Rd when Cameron Ave is closed. Route updates will be posted on TransLoc app. 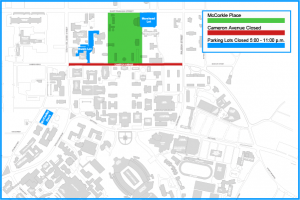 Additional streets surrounding the area may be closed and traffic may be rerouted around campus and the town. Follow @MoveUNC on Twitter for updates. For up-to-date bus route information due to this planned activity, visit Chapel Hill Transit Service Alerts or GoTriangle Service Alerts.